The Sons of Union Veterans of the Civil War is a fraternal organization dedicated to preserving the history and legacy of heroes who fought and worked to save the Union. Organized in 1881 and chartered by Congress in 1954, we are the legal successor to the Grand Army of the Republic. The Department of Oklahoma consists of three camps. We are active and always seeking people with a tie to, or love of, the Civil War to join our adventure. 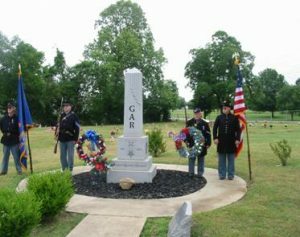 We support ongoing Civil War and patriotic programs and projects throughout the State of Oklahoma. The Department was chartered on May 2, 2002. At our Chartering Department Encampment, Past CinC George Powell noted the small amount of members, but was impressed with the exuberance and the spirit of the delegate. He stated that just because we were few, we would be “Second to none”!